William Hill is one of the most famous gambling companies. Before it went online in 1998 William Hill was well known offline. Founded in 1934, they have over 65 years' experience of offering betting services. 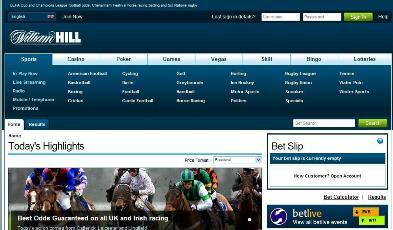 The site is easy to navigate, placing bets is even more easy. William Hill offers deposits and withdrawals with almost every payment processor that is available. The transactions are fast and secure. William Hill offers a good sign up bonus for new players. You can bet on every possible sport. Football, basketball, tennis, horse races and etc... The UK visitors will like that William Hill is the best site for snooker betting. William Hill also shows live streaming of the most interesting events. Bwin was founded in 1997 and has been listed in the Stock Exchange since 2000. Bwin is the absolute number one in terms of fun, excitement and world-class entertainment. Bwin handles 8000 different bets daily. 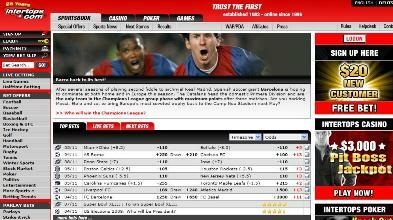 Among them football bets for more than 500 leagues in more than 100 countries worldwide. The entire line up is available at 20 different languages with tendency to increase this number. Bwin in terms of fun and excitement is one of the best sites. Add to that that its well known all over the world. The lines are published always very fast and almost every major event is available for live bets. They also have live video service, football, tennis, snooker... Bwin's site is easy to navigate, we suggest it strongly to new bettors. Over 1 000 000 players can't be wrong. Betfair is surely the most discussed betting site. It is the best betting exchange, that means you exchange bets with other people, this makes the odds a little bit better. The interface is almost the same like normal bookmaker, but you will need more practice to learn how to use its full potential. Better odds- As you are betting direct with fellow punters at Betfair there are no hefty bookmakers' margins resulting in odds that are on average 20% better. Most of the online bookmakers reduce your stakes or close your accounts if you are successful. In Betfair your stake will never be reduced. They never close winning accounts. There are no limits. You can bet without worrying for limits. Live in-play betting- You can bet almost on every single event live. Safe and secure- Betfair has over 100 000 active customers a month placing over million transactions a day, making Betfair the World's number one betting exchange. The transactions in and out of the account are fast and secure. You can deposit or withdraw at any time. Credibility- Betfair were awarded the Queen's Award for Enterprise in the Innovation category in 2003. Betfair hold Memorandum of Understanding's (MOU) with multiple sports organisations around the world helping to ensure fair play. Back and lay- The most important benefit. When you "back" a selection (be it an individual, a team, horse, dog or other), you are betting that it will win. This is just like betting with conventional bookies. When you "lay" it, you are betting against it winning. For example, if you're betting in a market on which team is going to win the Premiership and you lay Man Utd, you offer odds to other punters who wish to back Man Utd. If Man Utd don't win, then you pick up the backer's stake. If Man Utd win, then you pay out. This is what bookmakers traditionally do. Back and lay creates many new possibilities. Many new tactics. 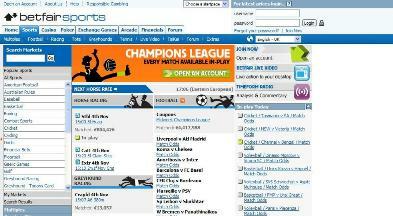 Intertops is one of the oldest online gambling sites. It opened doors for players in 1996. Other useful information is that the site accepts US players. Intertops is mainly for players that bet around 1-200$ per bet. They also have one of the best customer services. Always when I contacted them they got back to me in 24 hours.